Origionally posted 12/09. Posted again in 12/11 with gratitude and thanks for loved ones, health and hope. My thoughts today are with those less fortunate who could use our help this season. Do what you can. Sia. This Yule blessing comes to us courtesy of the good folks at the Portland Revels. It is a poem for the New Year by Irish poet and spiritual teacher John O'Donohue. I would encourage everyone who reads this to make a donation to a charity of your choice - the need this year is very great. Good to see you back, Sia. 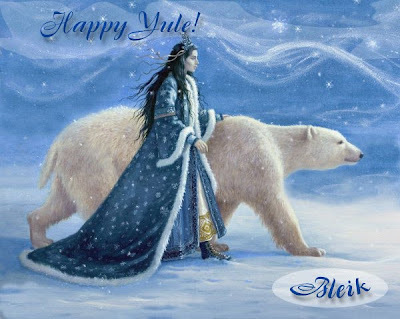 I hope all is well, and a blessed Solstice to you and yours. Oh, how lovely! And, welcome back! You've been missed. Beautiful, and brightest Solstice blessings to you. Ever so wonderful! Both, the pic and the blessing!